The final match of the 2015 Women’s Soccer World Cup was played today. It was Japan vs USA. The USA won, so they are the 2015 Women’s World Cup champions! Japan got silver (2nd place), and England won third place! Coincidentally, in the previous Women’s World Cup (in 2011), the final match was played between Japan and America then too. Japan won that time. America has a strong women’s soccer team. They currently hold the record for the most World Cup champions (three times), and they’re the only team that have been in the top three in every World Cup since the first one in 1991! Yesterday was the closing ceremony of the 2014 Olympics in Sochi, Russia. Did you watch it? It began after 1:00AM Japan Time…so I didn’t stay up to watch. Was it good? On the medal count, Russia came in first place after all. America was fourth, and Japan 17th place. The gold, silver, and bronze medals winners in Women’s Figure Skating: Korea (center), Japan (left), and Canada (right), respectively. This great song is a collaboration between 吉田兄弟 (the Yoshida brothers) and Monkey Majik! Recently I was contacted by a young man from Canada named Bryan Maine. He has been to Japan twice and has written the book about his experiences on the most recent trip. It seems that he met a Japanese girl at his university in Canada when he was nineteen. They began to date and he “fell head-over-heels” for her. The following summer, the girl returned to her home in Japan and, though they had only been dating for a short time, Bryan sold his car in order to buy an airplane ticket and follow her to Japan. Things didn’t turn out the way he expected. He made a number of cultural gaffes by doing things that might seem insignificant to a Westerner. Bryan Maine asked me if I would do an interview with him about his book and his experiences in Japan, so I sent him ten questions. 1. Could you give us a short self-introduction? I am currently living in Vancouver Canada where I have spent the last year performing comedy and writing my book “Grasping at Self Worth“. Prior to moving, I lived on Vancouver Island. A beautiful place with lots of wild life and nature. It was nice there but I am definitely a city guy. 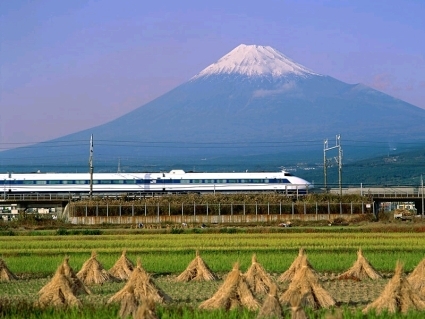 In high school I was an exchange student for four months and lived in a small town name Oyama at the base of Mt.Fuji. I came back much more confident in myself and enjoyed the experience. The second time I went to Japan for two months. I stayed in Tokyo and came back completely broken. I feel a strong pull bringing me back to the country every couple of years and am craving a trip back as soon as possible. I wrote a book about my experiences in Tokyo and am currently raising funds till December 9th for funding and publishing. Check it out. The cover of Bryan Maine’s book “Grasping at Self Worth”. 2. Did you study the Japanese language? How well can you speak Japanese? I studied Japanese in high school before going to Japan as an exchange student. I attempted to take it again during my first year of college but accidentally enrolled in the second year course and couldn’t stay in. After returning from Japan for the summer, I attempted to take the second year class again and this time the teacher let me in. I can speak Japanese very well; understanding around 80% of any given conversation. My problem is with spelling when attempting to write. 3. 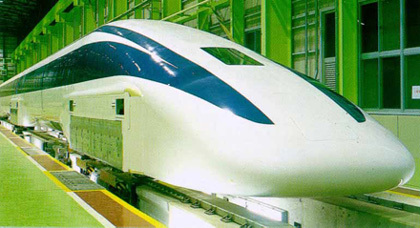 What made get interested in Japan? The aspect of Japanese life that I find most interesting is how honour has been imprinted into their history. The idea of a person being driven by their own sense of honour is very appealing to me. I also really enjoy the sense of community that Japan maintains in a way I feel western culture has lost. 4. You’ve been to Japan twice, haven’t you? When were you here and for how long each time? Yes, the first time I came to Japan I stayed in Shizuoka Prefecture for four months at age sixteen. The second time I stayed in Tokyo for two months when I was twenty. 5. What are some examples of culture shock you experienced when you came to Japan? Going to an onsen (hot spring) for the first time was very nerve racking. I was sixteen and our high school went on a school trip to Nagasaki. To conserve water the students all had to bath in the onsen which blew my mind. In Canada we have more than enough water so being in a country that actively thinks about its water consumption was strange. The first time I walked in, everyone stopped what they were doing to fill their curiosity about what a naked white guy might look like but then surprised me how quickly no one cared about the fact we were all naked and was able to relax. The comfort attached to being naked in public opened my eyes a lot to the idea of being comfortable in my own skin. 6. What made you decide to write a book about your experiences in Japan? I came back completely broken and attempted to write the book six years ago. It was awful. My mind was all over the place and I couldn’t look at what had happened objectively. A couple years passed and I became alright putting the experience behind me. I had almost put it entirely in my past when the earthquake hit Japan and I saw the footage of the tsunami on the news. I was working an office job and we were all watching the TV at work. As I watched the footage, not knowing any details and only seeing as houses so similar to that of my friends were consumed by water I began to cry and worry about the people I had known. It was at this moment I realized that even though I don’t think about it as much, Japan and my experiences their are a strong part of who I am. I decided to attempt to write the book again. Even though I am frustrated with how much of a big pansy I come off in it, it is true to who I was at the time. 7. If your relationship with your ex-girlfriend and her family had gone better, what do you think you’d be doing now? Would you be living in Japan? This is a question that I have no real answer to. I do know I loved her very much but feel since she was the first girl I really loved that I probably was too immature and idealistic to have it be a relationship I would still be in today, six years later. I think we would have broken up still but much later and on much more pleasant terms. Both leaving stronger people than we went in. I think I would still be living in Canada at this point but do dream of the day that I can come and go between the two countries freely as both have aspects that I enjoy in life. 8. In hindsight, what do you think you’d do differently if you could go back to that summer in 2006? I would maintain my own sense of worth. Looking back I think, we should have broken up at “this point”, and “this point”, and definitely “this point”. I should have had lines that I was not willing to cross for anyone, and no one should expect me to. Because of my youth I believed that if I just keep trying then everything would work out. Now I understand that some things, like self respect, should never be sacrificed. 9. What advice would you give to people starting an international dating relationship? Recognize that they have the potential to be much more fulfilling that dating someone who is just like you. An international relationship will give you access to perspectives and ideas that you wouldn’t be able to acquire on your own. They also have added hardships on varying degrees. Recognize they exist and insist on maintaining a healthy mutual respect for one another. I believe that respect is just as important as love, how can someone give you one without the other. 10. Any message for my blog’s readers? The articles (on this blog) are crisp and well written. I thoroughly enjoyed reading them and look forward to being apart of it all. Japan is an amazing country but as an outsider can be very lonely at times. Different people have different experiences and as long as you are confident in who you are, your experiences will come out more valuable than you went in. I hope you have enjoyed this interview and please check out the link and help the book reach the funding goal. Towers and skyscrapers around the world will be illuminated in white and red to show their country’s support for Japan’s recovery from the disaster of 2011 March 11. At sunset tonight (Monday, 2011 April 4) in each country’s local time, the Empire State Building in New York City, America, the Sky Tower in New Zealand, the Menara Kuala Lumpur Tower in Malayasia, the North Tower in South Korea, the CN Tower in Canada, the Macau Tower in China, the John Hancock Observatory in America and the Spinnaker Tower in England will all be lit up in the colors of the Japanese flag. 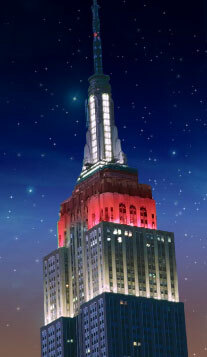 the Empire State Building in NYC, America illuminated in the colors of Japan's flag. 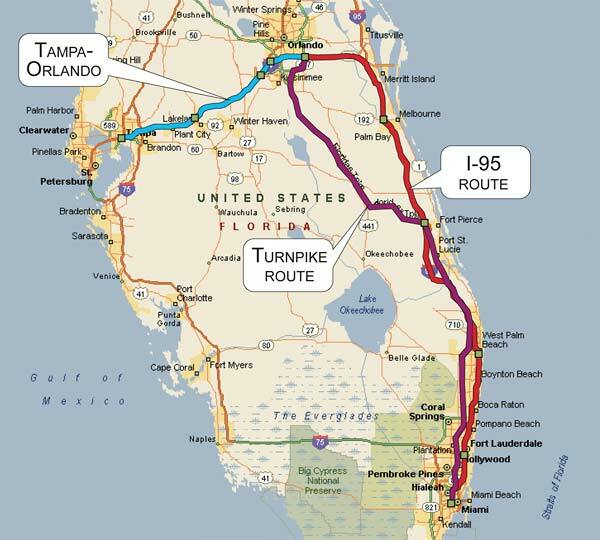 Do you live near any of these towers? Did you know they will be illuminated in white and red for Japan today? The 2010 Paralympics games started on 2010 March 12 and will continue until March 21. At the time I wrote this post, Japan has one medal so far. Kuniko Obinata won bronze in the Women’s Slalom Alpine Skiing event. I wrote a post last month about Japan’s oldest Paralympics athlete…the 75-year old 比田井隆 (Takashi Hidai). He’s a member of Japan’s 車イスカーリング (Wheelchair Curling) team at the 2010 Paralympics in Vancouver. So far in the Wheelchair Curling event, Japan won their match against Italy (9-6). It was their first game of the Olympics and the Japan team was ecstatic, of course. 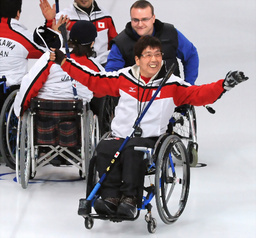 Takashi Hidai after Japan's Wheelchair Curling victory over Italy. But their good luck didn’t continue for the next few matches. Today they’re scheduled to play Norway. And then Switzerland, America, Sweden and then Great Britain.